You will never be able to get your anxiety disorder under control as long as it interests you more than anything else. But the truth is your anxiety disorder interests you a great deal, and you spend a large percentage of your time thinking about it, focusing on symptoms, and worrying and/or obsessing about how bad you feel. You might even look up the latest research on hemp to see how it can help your anxiety or search for ways to reduce your anxiety. You are always interested in your anxiety. If you didn’t, your anxiety disorder could not, and would not exist. Now, a large part of the reason for this is that yes, anxiety does make you feel miserable and its hard to just set that aside and not think about it. It seems as though anxiety is always tapping us on the shoulder and clearing its throat so we don’t forget that it is always with us. In addition, those of us with anxiety are natural-born analyzers. 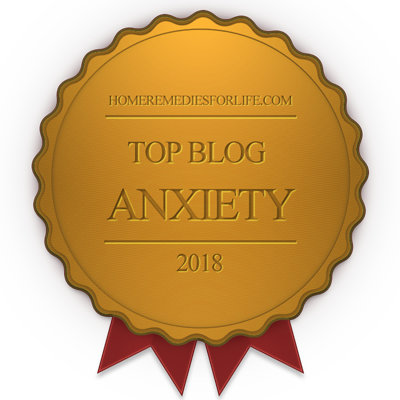 We were made to question things and its kind of hard to set that aside when you have strange and mysterious symptoms all day long that are screaming “Figure me out!” We want to know the how and why of every anxiety symptom we have. We want to get to the “bottom of it”. It takes a lot of will and practice to develop the ability to leave those analytical urges alone and not spend all your time engaged in worry games. It’s no wonder we spend so much time in our head trying to get to the root of all this seemingly nonsensical chaos that has entered our lives. The problem is that this constant attention that we pay to our anxiety disorder is one thing that keeps our anxiety disorders alive. Let’s face it…when we analyze, we usually find a problem. And even when we don’t find a problem, the analyzing sends the message to our brain that we are looking for a problem, and it keeps the alarms up , keeps our hyper-awareness going, and perpetuates our anxiety symptoms. This is why you have to get OUT of our head. Get away from your own thoughts. You have got to find something that interests you MORE than your anxiety disorder does. If this sounds like you, then that is great that you are not focusing solely on your anxiety symptoms all day. Its great that you are trying to stay out of your head and steer yourself away from too much introversion and toxic thinking. But what it suggests to me is that maybe you need to find something NEW to really get you out of the mental rut you are in. You need to find something that stimulates you and that interests you even MORE than those other activities of yours – something that you find yourself automatically thinking about more, or at least almost as much, as you think about your anxiety. When you find something that you truly love and that really lights a fire in you, THAT is what you will naturally spend your time thinking about. And the more time you spend thinking about your new interest, the less time you will spend thinking about and focusing on your anxiety. Every minute you spend not thinking about your anxiety is a minute that your brain is hearing that you are okay and in charge of your life and it will respond by trusting you more and more and your anxiety symptoms will gradually decrease. It takes an amazing amount of mental time and energy to keep an anxiety disorder alive. It is a full-time job. Anxiety needs you to be engaged with it on a fairly constant basis in order for it to thrive. Anxiety needs you to catch the ball every time it throws it to you and so far that is probably what you have been doing. Find something else to do besides play catch. I use MONQ’s Zen and Happy Blends to promote feelings of calm and contentment. Take 10% off with code TWG10. What was my passion? What did I throw myself into to? Gaining control of my anxiety disorder. THAT became my “thing”. I know…I am the biggest nerd that ever lived. But I can’t help it. Learning is my thing and learning about anxiety became my passion. Now do not misunderstand what I am saying. I do not mean that I now spent my days Googling symptoms and playing worry games and “What-iffing?” myself to pieces all day. I was already doing that all day long and that was more of a very unhealthy compulsion rather than a healthy passion. What I mean is that I sort of stepped out of myself and started looking at my life from an outsider’s perspective. I threw myself into learning and getting to “know” anxiety and trying to figure out how to live my life in a healthier, more positive way. I read book after book and spoke with so many people and practiced different breathing and thinking techniques. I can honestly say that I loved every single second of it. Learning brought me growth and strength…I thrived off of it and each bit of growth made me want to learn more. Over time, THAT is what became the focus of all my thoughts – not how bad I felt. Because I thought of anxiety in a new way, I responded to it in a new way. I got VERY lucky in that my passion found me. I have a natural love of research and learning , and teaching as well, and it just naturally happened that I was able to turn my recovery into a great love of mine that I still have to this day and indulge through my blog. I get how learning and recovery might not be your cup of tea. But that is okay because your cup of tea is out there! Consider blogging for yourself, for example. 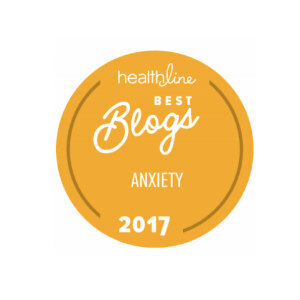 Most of us with anxiety are born writers – and no you don’t have to write about anxiety! There are so many blogging topics out there from gardening, to photography, to Christianity, to music, etc. The only criteria is that it be something that interests you. Writing is an amazing way to put your energy into something else and forget everything around you except that which you are writing about. It’s so therapeutic and good for you. If writing isn’t your thing and/or you just don’t have a topic in your life that you feel you could blog around, that is okay because something else is out there for you. You just have to find it. Look back over your life. Did you ever meet somebody who had a particular hobby or interest that you found fascinating? Are there any particular skills you ever thought about learning, like painting or dancing? Is there any topic that you think you would like to master or a language you would like to learn? You could volunteer your time somewhere such as at a retirement home. There are so many options for you out there – they are endless. Read books, watch YouTube videos, or just try random things until you find something that lights that fire in you. Don’t let your life be only about stress and worry and trying to cope from one day to the next. It is so easy to get sucked into the identity of a “person with anxiety”. Don’t let that be what your whole story is about. If it is, at least make the story about a person with anxiety who is thriving and growing stronger because of it! I am so proud of that being my personal story. You are holding the pen, writing the book of your life. Write something fascinating about yourself! Find something bigger, just for you, that excites you and uses the best parts of your brain. You are so much more than your anxiety and your negative thoughts, or being somebody’s wife or husband, or mother or father. You are a unique person and you can do things that other people can’t. You can learn things other people find too difficult to understand. There is some topic out there, some talent, some something that you can master better than anybody know. You may not know what it is yet but it’s there and what a shame to never discover it! What a waste! Keep in mind that even if you find a passion that you aren’t necessarily the greatest in the world at, that is okay too. 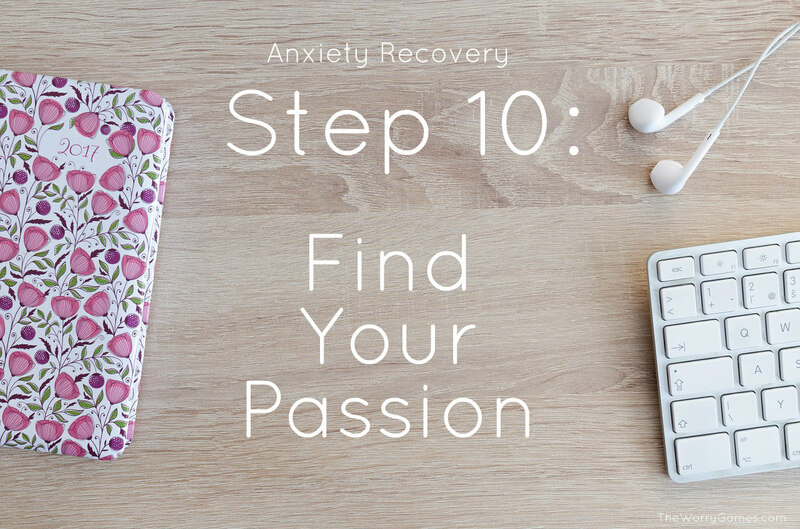 You can do as I did with my anxiety recovery and grow with and into your passion. Or you can be really lousy at whatever it is and stay that way. There is only one rule when it comes to your passion….your soul has to love it. Never underestimate yourself and what you are capable of. And remember, you will never know your full potential if you don’t explore who you are. 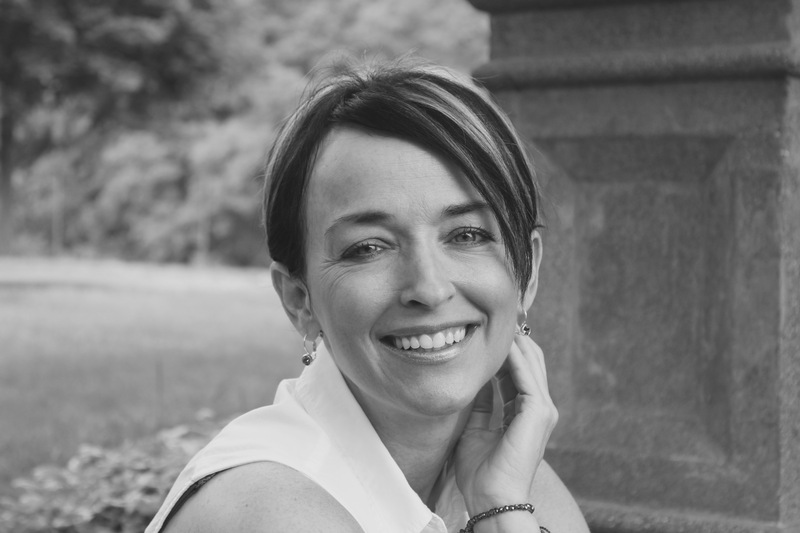 If you are looking for some more inspiration check out this article from Tiny Buddha that I think offers a lovely take on how to discover your true calling in life. I wish you so well with your personal recovery and if there is anything I can do to help you through any walls or roadblocks do not hesitate to email me at TheWorryGames@yahoo.com. I get a little backed up sometimes but I always try my best to answer every email. Stay away from worry games. 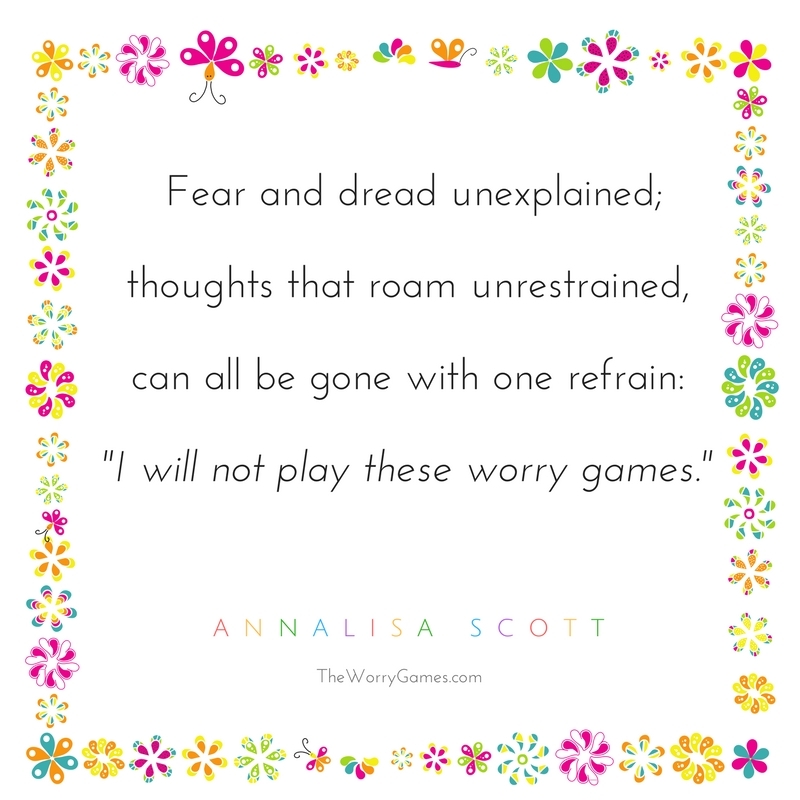 When you play worry games, anxiety wins every single time. When you refuse to play, YOU win.